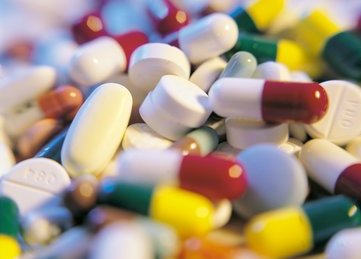 Many over-the-counter cold remedies may contain some degree of pseudoephedrine. If you have blood pressure problems, you should avoid taking anything with Sudafed in it if at all possible. There are many weight loss supplements on the grocery shelves these days. Commercials on television have popularized many of these products, especially to younger folks. While weight loss is important, it's how you go about losing the weight that matters. The goal is to lose it safely and slowly. There are ingredients in many of these supplements, such as natural energy boosters, that can not only raise blood pressure, but can have detrimental effects on kidney function. Before starting any weight loss supplement, talk with your doctor. If you have kidney disease, you need to watch products that contain excess protein and creatine, which is a supplement used to help athletes build muscle. Taking either or both of these supplements forces the kidneys to work harder. In the setting of strenuous exercise and dehydration, these supplements have the potential to cause some serious kidney damage. I would strongly advise against using these products in the setting of kidney disease; if you feel that you must, I would work closely with your doctor and avoid dehydration with exercise when taking these supplements. Caffeine can raise blood pressure and is detrimental to overall body health. You need to be aware of the amount of caffeine in drinks - especially energy drinks - if at all possible. Moreover, in addition to their caffeine content, many soft drinks including diet sodas contain an artificial sweetener called aspartame. Contrary to popular belief, some recent evidence demonstrates that aspartame may actually promote weight gain, not weight loss. In addition, the phosphoric acid in many types of cola is very bad for your bones. The high phosphorus content in soft drinks is not good if you have CKD. It is very important to be aware of the environment and all of the things in it that can affect not only your kidney health, but also your overall health. Everything from the water we drink to the things we may be exposed to at home, in our yards, or at work, can affect our kidney function. Having good, safe drinking water is vital to our health and well being. If you were to examine the contents of your tap water, you would probably be surprised at the number of impurities you'd find. Examples of contaminants that could be in the water include metals such as cadmium, lead, and arsenic. Exposure to low levels of cadmium and lead over time is a significant risk factor for the development of CKD. Water can also be contaminated with high levels of bacteria. There may be increased risks of hypertension, kidney disease, and even hypertension during pregnancy after being exposed to bacteria-contaminated water. Other contaminants, such as forms of benzene and other chemicals and pesticides also exist in some tap waters, and can affect kidney function. In addition to contaminants, a published report from the Associated Press in March 2008 demonstrated very minute amounts of many different medications in our water. These drugs have already affected fish and other marine life, but the long-term effects in humans are still unknown. It can't be good, though, either for your overall health or your kidney health. You should find out about the drinking water contaminants as well as the safety level of the water in your state or local area. If you have well water, you should have it tested on a regular basis. If you are using tap water, you should consider obtaining a water filter that will remove the impurities. In general, filtration is a method where the water is put through a material that removes the impurities, leaving you with a purer form of water. There are many types of filtration systems out there, however two of the most common include distillation and reverse osmosis. Regarding distillation, water is heated until it boils and forms steam; this steam is then collected and stored. Reverse osmosis filters use a type of pressure to "push" water through a medium, resulting in a pure product. Ask your doctor or other health provider regarding which type of filter system would work for you. A possible concern about filtration systems in general is that they can only "filter" down to a certain size. It is not clear if any water system can clear the very small materials like the trace amounts of medication described above. Though they can be costly, I do think that a good water filtration system can decrease the exposure risk. 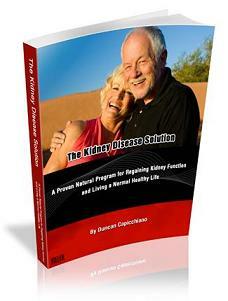 To find out more, you can check out Is Kidney Disease Reversible.